Moser Medical has been a hair grafting specialist for 38 years. With just a single, one-day, treatment we can provide a lasting solution to your hair-loss problems. “A head full of hair instead of being bald” - for a lifelong sense of well-being. 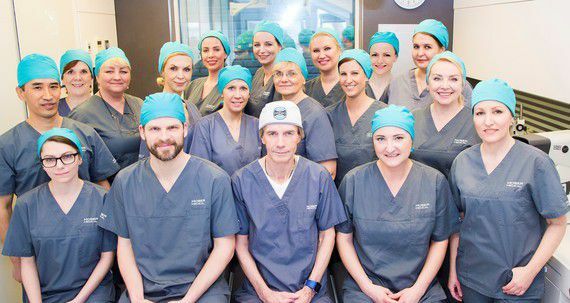 As the first and only clinic in Austria, Moser Medical now also offers the so-called „Long Hair FUE Treatment“. With this procedure, shaving at the back of the head/in the area of extraction is no longer necessary. This guarantees that patients can take part in social events following their hair transplant as fast as possible. In order to be able to individually tailor treatments to our customers‘ wishes, needs and hair situation, the newest extraction instruments are used for FUE treatments at Moser Medical, a centre of competence. For our patients, this means that the hair transplant will be more gentle, mild and natural than ever before. It is a given that in the process, the best possible result will be attained, with a hair growth rate in excess of 93% out of all transplanted hair follicles. It doesn't matter which method or technique you decide to pursue, at Moser Medical you can be certain to get the best results! Over 30,000 happy and satisfied Moser Medical patients can give you this certainty. As one of onlfew clinics worldwide, the experienced team at Moser Medical practices the two most important removal techniques on a significant scale. In conjunction with the doctor, every interested patient can choose the ideal method for their personal hair situation -- ensuring the best possible result, with a growth guarantee! We work with each of our clients individually and according to their wishes. Breakthrough innovations in FUE treatment: simple and gentle like never before! People who would like to solve their hair loss problem epect a simple, gentle treatment that provides the best medical and aesthetic results. Once again, Moser Medical proves themselves as pioneers in hair transplantation through the fulfillment of these criteria. The combination of 40 years of experience, sophisticated technology (HyRO removal instruments) and skilled craftsmanship (preparation and transplantation of each hair root) provides the gentlest (no scar line) and most efficient treatment (highest growth rate, > 93% guaranteed). 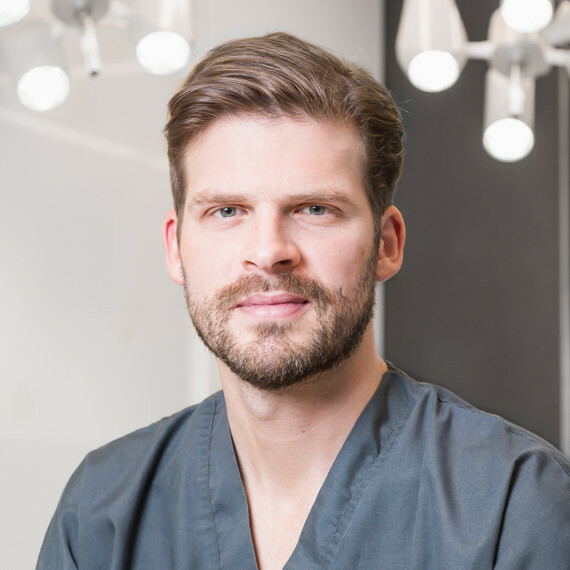 Our large treatment team with many years of experience have mastered the craft of hair transplantation. The Moser Medical team can perform all FUE treatments in just 1 day. The experienced team of specialists and medical assistants work hand in hand. Together with state-of-the-art instruments and products from Moser Medical's research, we offer our clients short treatment times and a guarantee of the highest possible growth rate. 1 treatment in one day - for the best results your whole life long. After their first treatment, many of our clients tell us that they would have opted for treatment at Moser Medical sooner, if they had known how easy and fast it was. Do you have questions? We’d be happy to help. How does hair transplantation work? How do you choose a method? What will the result look like? Why choose Moser Medical? As a prospective hair transplantation patient, you surely have many questions. Many answers are located on our website but please don’t hesitate to contact our medical consultants. They are available at seven locations throughout Austria to offer a personal consultation. One thing is clear: you want to be satisfied with your hair situation. And we can support you along the way. The quickest way to competent information. Specialist medical consultations including a hair analysis are available at seven locations throughout Austria. Get in touch today for an individual hair consultation near you.